This program is a classroom instrument demonstration and workshop that uses the alphabet to introduce very young children to classical music. 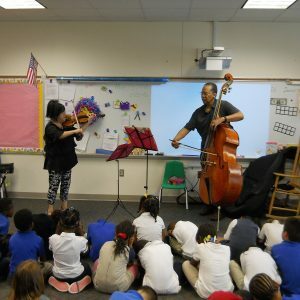 Performing on the violin and bass, professional musicians use phonics and visual props to reinforce the alphabet letters. Participatory activities include group singing and movement to music. This program is especially useful to teachers who work with large numbers of ESL students. 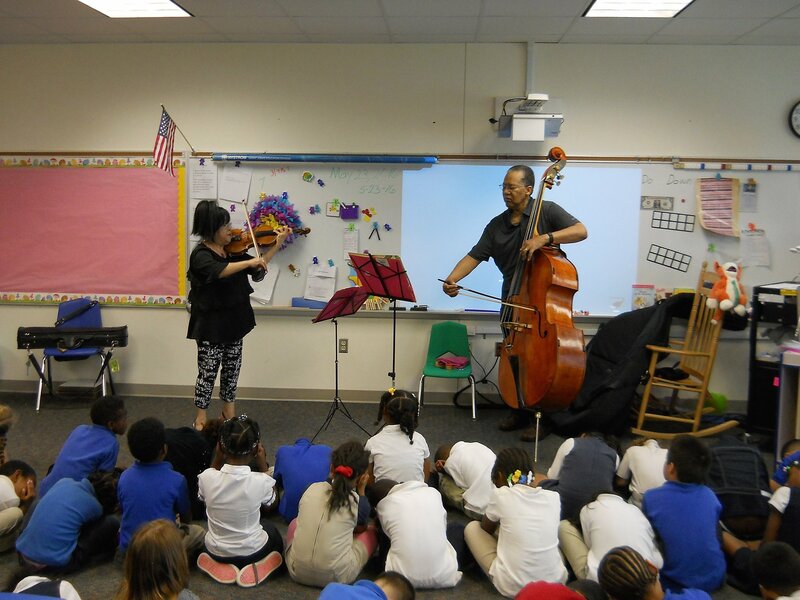 If you are a DISD teacher who wants to book Music A to Z for an in-school program, click HERE.